Any information regarding SCP-2893, SCP-2893-A instances, or the phenomenon surrounding either of these entities is to be destroyed. Any aircraft entering the vicinity of Site-2893 are to be warned that the location they are entering is owned by the French government, with MTF-Beta-99 ("Let 'em Fly Boys") correcting their course away from the facility. If any aircraft refuses to comply, MTF-Beta-99 is authorized to engage the craft. No Foundation personnel are allowed inside of SCP-2893 without the approval of Site-2893's Director. Personnel entering SCP-2893 are to be armed with standard Foundation military weaponry. Foundation personnel are to never interact with instances without at least three other armed personnel accompanying them. SCP-2893-A instances are to not be provided information about the outside world. If SCP-2893-A instances are found nearing the border of SCP-2893, MTF-Beta-22 ("The Whistleblowers") is to terminate them. This interaction is to be recorded in the research log below. 87th Infantry Division, French Armed Forces. Seven weeks prior to SCP-2893's formation. Any information pertaining to the individual instance's history, family, or memories. the instances' current state of affairs subsequent to the destruction of SCP-2893. Any information regarding SCP-2893 and the effects of its destruction are to be suppressed whenever possible to the public at large. Description: SCP-2893 is the official designation of an anomalous phenomenon affecting southern France, near the village of [REDACTED]. SCP-2893 manifests itself as a translucent sphere encompassing a radius of 25km. Non-SCP-2893-A instances are capable of entering SCP-2893 with no difficulty. Individuals found inside of SCP-2893 during its formation in 1917 (SCP-2893-A) have been found incapable of leaving SCP-2893. This also extends to any objects that were inside of SCP-2893 prior to its formation, including weaponry, fortifications, or other organisms inside of SCP-2893 other than SCP-2893-A instances. 243rd Infantry Division of The German Empire. Three weeks prior to SCP-2893's formation. SCP-2893-A instances are non-anomalous humans who have been found inside of SCP-2893 during its formation. Instances wear attire consistent with both the French Armed Forces, British Armed Forces, and the Imperial German Army issued during the First World War, specifically the 87th infantry Unit and 243rd Infantry Unit. Instances are armed with WW1-era non-anomalous weaponry , and often engage in combat with one another. (See Research log) Currently, there are over 1000 SCP-2893-A instances in SCP-2893. The anomalous effects of SCP-2893 become evident after a full 24-hour rotation. When a full rotation occurs, all organisms, objects, and events that have occurred or are contained within SCP-2893 return to their original state prior to the reset. This includes deceased individuals inside of SCP-2893. This also seems to apply to the memories of SCP-2893-A instances, of which they report of having no memory of the events prior to the 'reset'. This ability has seemed to have diminished since the formation of SCP-2893. Many SCP-2893-A instances report of having brief, vivid recollections that correspond to events prior to the 'reset'. As more and more resets occur, subsequent resets cause SCP-2893-A instances to behave disparately from their original series of events. The behavior of SCP-2893-A instances have been observed to deviate significantly from the original events of the battle. In the battle, the British and French forces forced the German battalion to retreat after having sustained heavy casualties. For more information on these alterations, see Research Log. This has been hypothesized to be the result of the deterioration of SCP-2893's ability to 'reset' the events of the previous day, and the ability to erase the memory of SCP-2893-A instances. SCP-2893 was originally discovered in 1918 when the French government responded to a possible invasion by the Imperial German Army. 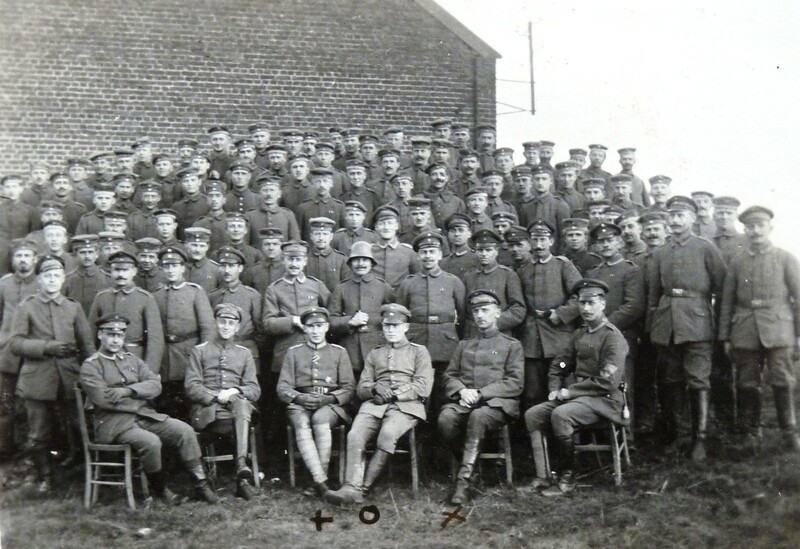 Following the discovery of its anomalous effects, SCP-2893 was guarded by the paracontainment wing of the French Armed Forces until the Second World War, where it was placed into the control of the Ahnenerbe Obskurakorps2 from 1940 to 1944. 4-12-1920 — French and British forces overwhelm German fortifications. Minimal deviation from original timeline. 6-22-1929 — British and French soldiers are seen becoming more and more agitated with one another. One soldier threatens to attack the Commander of the troops, but is shot before this could occur. Battle continues as normal. 12-21-1929 — The soldier who attempted to attack the commander (SCP-2893-A-11) kills him, naming himself the new commander. Battle ends with the entire German force killed. 7-4-1930 — SCP-2893-A-11 becomes commander after the commander was killed by a stray bullet while on an early morning walk. Battle proceeds as normal. German commanders are hanged outside of camp. 7-29-1930 — Minimum deviation from previous log. Commanders are shot. 8-2-1930 — Minimum deviation from previous log. Commanders are stabbed to death. 8-3-1930 — Minimum deviation from previous log. Commanders are burnt alive. 8-7-1930 — Minimum deviation from previous log. Commanders are skinned alive. 9-22-1930 — German instances surrender to British and French instances. Are assimilated into its ranks. 11-15-1930 — SCP-2893-A instances again attempt to build a fire. Unlike previous iteration, however, instances are able to control the fire. French forces break up instances and destroy the fire. 5-13-1940 — SCP-2893-A instances begin to fire their artillery cannons in random directions. Currently believed that SCP-2893-A instances were attempting to breach SCP-2893. Officially comes under the control of the Ahnenerbe Obskurakorps. 12-17-1940 — The Obskurakorps attempt to converse with SCP-2893-A instances, specifically SCP-2893-A-11, who had become the de facto leader of all SCP-2893-A instances. Obskurakorps attempt to bribe SCP-2893-A-11 with the promise of SCP-2893 being destroyed. SCP-2893-A-11, according to recovered documents, states "You can take your space-time anomaly and shove it up your arse!". Obskurakorps members are forcefully removed from SCP-2893. 12-21-1940 — Obskurakorps prepare for a full-on invasion into SCP-2893. They bring one battalion. Recovered documents suggest that the reason for this low troop count was due to confidence in Obskurakorps leadership in their success. SCP-2893-A instances terminate the entire battalion with little resistance, despite inferior technology.3 Bodies are immolated. 1-12-1941 — Obskurakorps attempts to surround SCP-2893, preparing for a second invasion force, this time with a force of two battalions. 1-16-1941 — Iteration ends. All SCP-2893-A instances were able to ambush the Obskurakorps. The Obskurakorps retreated with severe casualties. Severed heads were stuck on pikes through the edges of SCP-2893. 2-12-1941 — The Obskurakorps attempt another communication with SCP-2893-A-11, this time with an offer to give instances information of the outside world and communication with relatives. A response was delivered, reading in its entirety as: "Why would I want to give this position as leader?" 8-12-1944 — Germany retreats from Paris. During this time, SCP-2893 is officially taken into the custody of the Foundation. 12-25-1945 — Foundation personnel attempts to communicate with SCP-2893-A instances, specifically SCP-2893-A-11, about their knowledge of SCP-2893 and of their current condition. SCP-2893-A-11 orders instances to fire upon Foundation personnel. Out of the 37 researchers, MTF-Beta-22 were only able to extract 6. 1-1-1947 — SCP-2893-A instances attempt to breach SCP-2893 barrier. Foundation personnel repulsed instances, leading in the death of all instances. No Foundation causalities. 3-1-1949 — SCP-2893-A instances attempts to breach SCP-2893 barrier. All instances killed. Half of the containment team are killed in the attack. The following is a document recovered from SCP-2893. The Commander has asked of me to pen this letter to you, our Jailors, one simple question: Why? Why keep us locked up, butcher us over and over and over? Pleasure? Some twisted and disgusting joke towards us? If so, why us? I know these questions will never be answered. You only respond with guns and bullets and beatings and torture. That is the only thing you bring to us. You might be trying to break us, to turn us against one another, but your brutality does nothing but strengthen our resolve against you. He brought us together in order to stand a fighting chance against you. He could see how our petty fighting brought us nothing but death and pain, and so he saw no other choice but to unite us. His leadership, however harsh it may be, has made us stronger and has brought us together as a people. No longer German, French, English, Indian, or Australian, but together, as a people, against you. The Indian experiences pain, so must you. If the Englishman, so must the German. Our Commander, as well, experiences this same pain, more so than anyone else in this plain. He carries the weight of men who feel nothing but anger and sadness. He told us how he couldn't even remember the face of his daughter, and that the picture of her that he kept looked foreign and alien to him. But he keeps going, because he cares for his men, and wishes to help set us free. Freedom is the natural state of Humanity, Jailors. Every creature on this planet was blessed by God with freedom and self-determination, and it is our Right, as free Men, to fight against those who would dare to remove our rights of Freedom and Liberty. You can't stop us from leaving this cage, jailors. You may clip the wings of a fighting bird, but you will never squash his fighting spirit. You can crush our legs, break our hands, and destroy our weapons, but you will never break our humanity. Apart, we are nothing but insects crawling across the landscape. But together, we are one. On 6-6-1950, SCP-2893-A instances began firing upon SCP-2893 with heavy artillery shells, while using WW1-era ballistic weaponry upon it. Due to the combination of the deterioration of SCP-2893, and the constant bombardment from SCP-2893-A instances, the sphere collapsed. Following this, instances began an attempted escape from Site-2893. Out of 1067 SCP-2893-A instances in SCP-2893, 223 died in the escape attempt, 782 were detained, and 52 escaped from the site. Out of those, 44 have been captured within 24 hours after the collapse of SCP-2893. The location of all eight uncaptured instances are unknown. On 12-11-1952, 8 previously uncaptured SCP-2893-A instances have been captured. The following is an excerpt from the recovery of SCP-2893-A instances. Note: SCP-2893-A-114 willingly came into Foundation custody following the discovery of his home village. Requested amnestics. Request Granted. Recovery Location: [REDACTED], Germany. Near memorial. Note: SCP-2893-A-765 found crying near war memorial. Source of emotional distress due to the name of his fellow instances not being on the memorial. Struggled against personnel's attempts of containing the instance. Recovery Location: Vatican City, Vatican City. Note: SCP-2893-A-999 was found attempting to seek forgiveness from the current Pope, Pius XII outside Apostolic Palace. SCP-2893-A-999 was found begging for forgiveness from the Pope for his actions during WWI. Recovery Location: Cemetery in [REDACTED], United Kingdom. Note: SCP-2893-A-876 had attempted to be a part of a funeral service of a Mr. John Taylor. Found to be the Grandson of instance. Denied entrance. Willingly came into Foundation custody. 2. The paratechnolgical wing of the SS, and the organization responsible for integrating anomalous technology and artifacts into Reich policy. The predecessor to the OBSKURA. 3. It is still unknown if this was due to incompetence on the part of the Obskurakorps or on strategic intelligence of SCP-2893-A-11, or on the better fighting experience of SCP-2893-A instances over the newer Obskurakorps soldiers. 4. SCP-2893-A-11 was killed during the attack on SCP-2893 in this particular iteration. 5. Long range strategic bombers developed and used by Germany during the Second World War. 6. This was the last time the Ahnenerbe Obskurakorps attempted to destroy an object before its eventual disbandment in 1944 on the orders of Adolf Hitler due to the inefficiency and ineptness of the organization. 7. See Addendum-2893.1 for more information. 8. Was destroyed following the Second World War.